The Gestapo searched the rooming house several times. But Dr. Strobos, a tall, soft-spoken woman, beguiled the Germans with her fluency in their language and her cool, ingenuous pose. 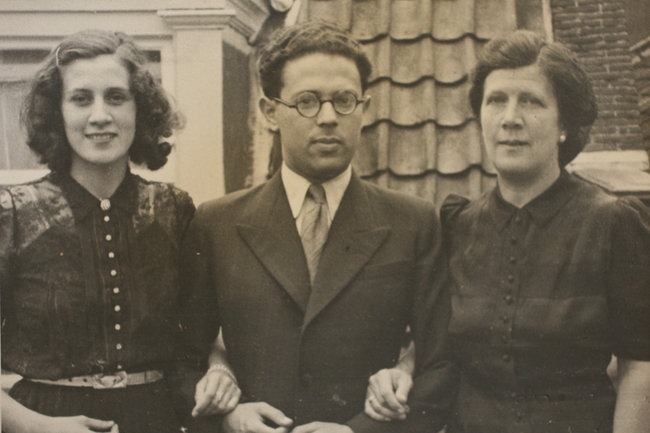 Among the Jews she helped hide was a close friend, Tirtsah Van Amerongen; an Orthodox couple with five children who brought their own kosher food; and her fiancé for a time, the particle physicist Abraham Pais. Dr. Strobos rode her bicycle for miles outside the city to carry ration stamps to Jews hiding on farms. She transported radios to resistance fighters and stashed their guns. She created fake identity cards — ones that were not stamped with a J — either by stealing photographs and fingerprinted documents from legitimate guests at the boarding house or making deals with pickpockets to swipe documents from railway travelers. She was cold and hungry when she took those risks and was interrogated nine times by the Gestapo. Once, she was left unconscious after an official threw her against a wall. Tina Strobos later earned her medical degree, studied psychiatry with Anna Freud, and became a family psychiatrist. 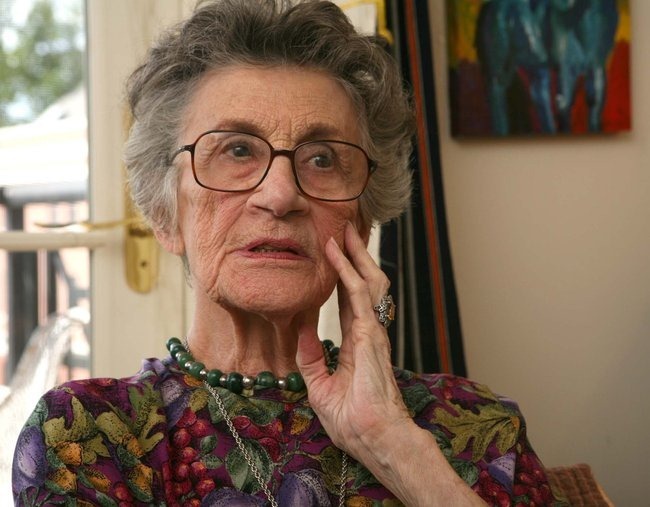 She tells her story in a lengthy 1985 interview which is full of thrilling and daring escapes from the Nazi occupiers – you can read that here (seven pages long). I do recommend reading it – it is quite exciting. Abraham Pais gives his own interview here (two pages long) and Erica van Hesteren adds to the story. A general description of the Jewish situation under the German occupation of Holland is here. What a fine example for humanity. May Tina Strobos’s name and memory be blessed!